Today at the garden we harvested buckets full of sweet basil. 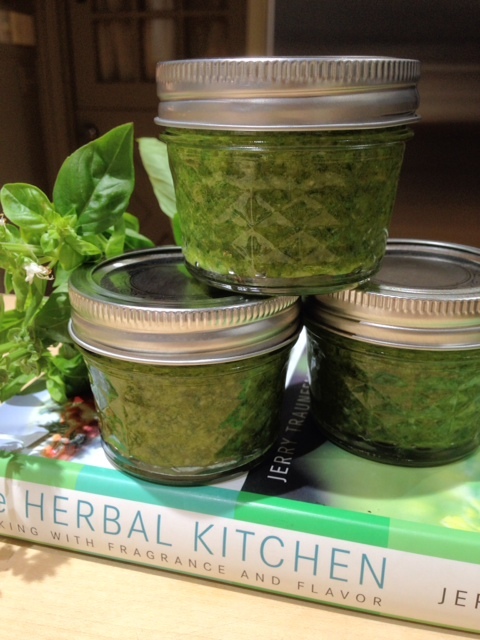 With winter’s chill at our doorstep it’s the perfect time to fill our freezers with basil pesto. Here is Classic Pesto hidden in our Tomato Tart Recipe! Basic Facts About Basil Here! Sweet Dreams, I will be dreaming about basil and hope you will, too! 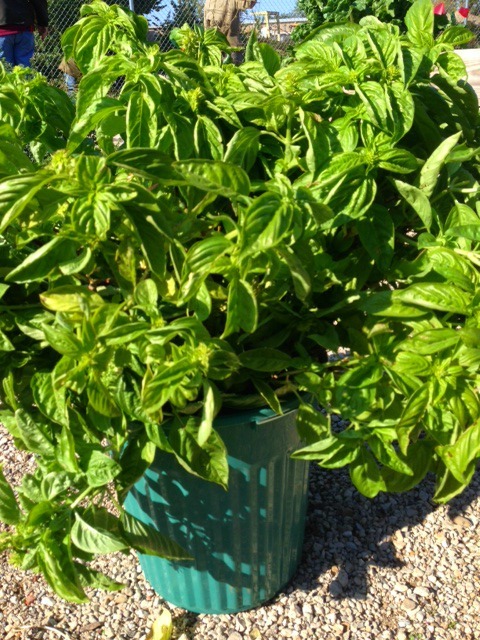 Posted in Fall, Herbs To Grow In Dallas, Recipe and tagged Basil for Dallas Gardens, basil pesto, Dallas Farm to Table, garden recipe, Herbs to Grow and Use in Dallas, Pesto, sweet basil. Bookmark the permalink. can we get some of this basil? We are Dallas County Master Gardeners working at 2311 Joe Field Road in Dallas. Will you be collecting seeds from this year’s harvest? I absolutely love fresh basil. In fact, last night I made a homemade pizza from scratch using fresh basil from the garden. I love those moments! We were in such a hurry to “harvest” before the freeze that everyone hurried home with a big bunch to make pesto. That’s a good reminder for next year to collect the seeds. Fresh basil on a homemade pizza sounds yummy!